Our personalised 'Best Man Heart' wedding day card is perfect to send love and thanks to your Best Man on your wedding day. 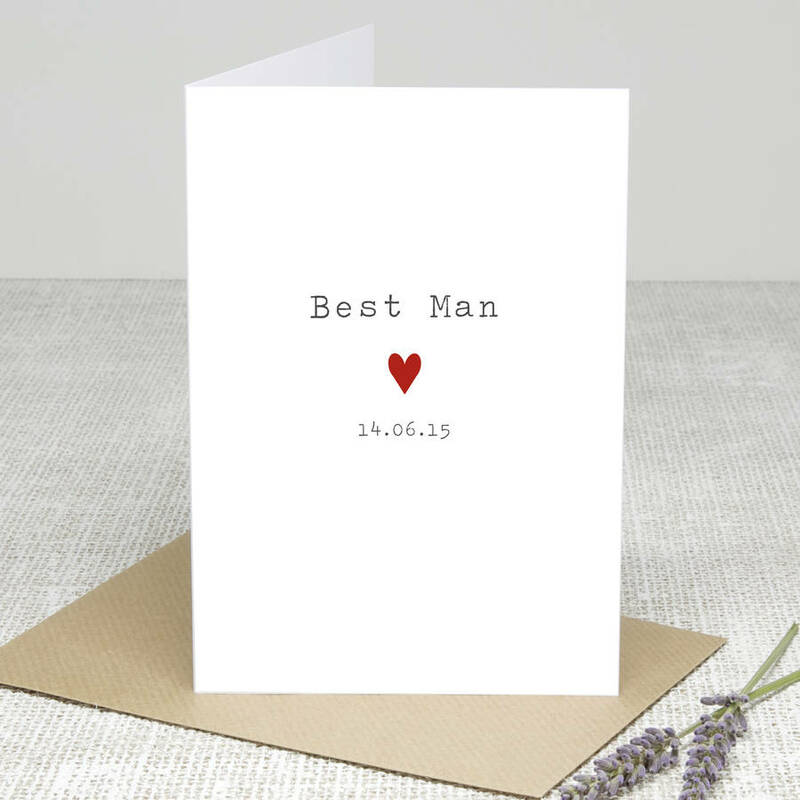 Designed and handmade by Slice of Pie Designs, this lovely card simply reads 'Best Man' beneath it is a little heart and your wedding date. 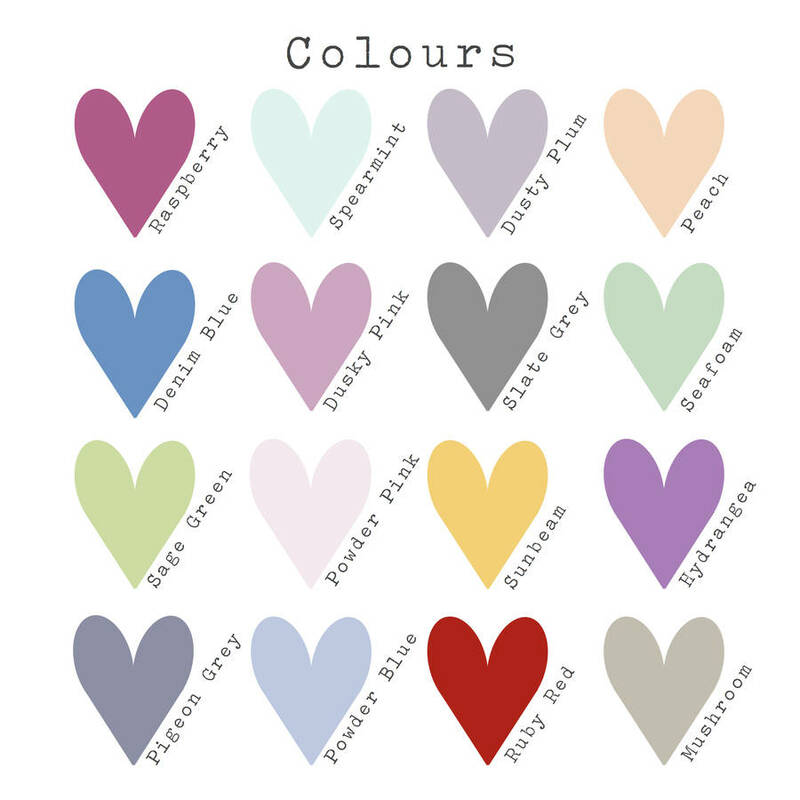 The little heart can be personalised in a choice of colours to match your wedding day themes. This card will be the perfect keepsake of your wedding day. Our cards are left blank inside for your own message. Please indicate your choice of heart colour and let us know your wedding date using the boxes opposite. Please see the colour chart to view the options. We use matt bright white 300gsm card and supply the card with a brown ribbed envelope. The card and envelope are packaged in a clear poly bag to keep them safe and clean.